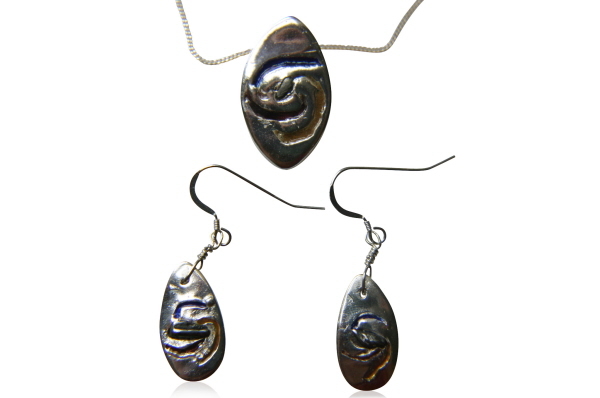 A while back a customer said she was intrigued by the Spiral Galaxy necklace set with iron meteorite and asked if I could make matching earrings. Never one to pass up a challenge I worked hard with her to create a lovely pair of matching earrings. She was DELIGHTED with the result.